So, today this one is for the guys (…but the ladies could get a little something out of it too. So, keep reading). We all know that first impressions are a big deal so, you want to be sure that on your first couple of dates, you are presenting the best version of yourself. Have no fear guys, I’m here to help! 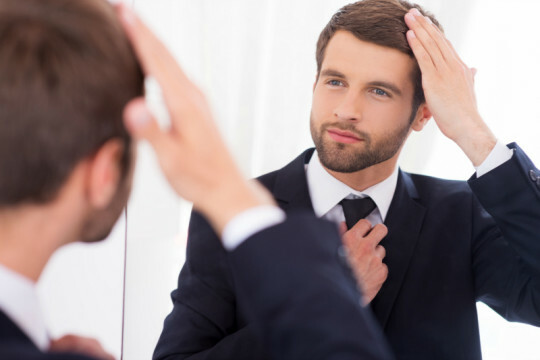 Here are a few guidelines to go by, to help ensure you’re looking your best. Ladies, these first few tips can actually go for you as well. Go easy on visible designer labels. It’s gaudy. Cover up because it’s sexier to imagine what’s underneath than to see it all. Make sure your match. Have a friend check your outfit if you’re not sure. It’s okay if you wear the same thing on multiple dates with different people, as long as you don’t wear the same thing on consecutive dates with the same person. Even if you have to email a photo of yourself in your chosen outfit to a pal, a second set of eyes for the first couple of dates is always a good idea. Use scents sparingly. A clean fragrance is more attractive to most people than even the fanciest cologne or perfume. Smell can be a sensitive sense for some. Be sure you don’t turn them away before you even begin to speak. If you were glasses every day and cannot see without them, why would you show up to a blind date actually blind or wear contacts that will have you rubbing your eyes in an hour? Invest in glasses that make you feel attractive and integrate them as part of your look. No holes in any article of clothing unless commission by the designer themselves. This is not allowed until at least date six if you absolutely must. This includes holes in undergarments. Follow the pants length rule that if you can see your socks at all before you sit down then your pants are too short. Also, they’re meant to be worn at your waist, not below it…and unless you are 80-years-old or more, definitely not above it! If you were stepping all over the bottom of your jeans when you walk, they are too long, and yes your date will notice. Here’s a helpful hint: take your jeans to the tailor before they are worn out and ask them to reattach the original hem. It may cost a little more but your jeans will look like they were made for you. Better to err on the side of dressing nicer than sloppier. Of course you shouldn’t wear a tux and bow-tie to a coffee date. But in a woman’s mind, it’s easier for her to picture you dressed down rather than spruced up. Relax on the hair product. Seriously, it will still look good. An untouchable do is a don’t. No chest hair showing. This should go without saying but unfortunately, it doesn’t. Tuck that shag rug into your shirt. It doesn’t matter how big your package is, nobody wants to see a bulging to your pants. Make sure your crotch has room to breathe and your thighs too, while you’re at it. And, in all seriousness, if your stomach is bulging out, you do not have that have that size waist anymore, and that’s okay. Women also come in all sizes and want men in all sizes too. Don’t try to be who you’re not. Take a little time to plan what you’re going to wear, follow these tips, but remember confidence might be the sexiest thing you could wear on any date. 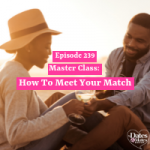 Get your free video “The 5 Biggest Online Dating Mistakes You’re Probably Making Right Now…And How to Fix Them” by clicking here.